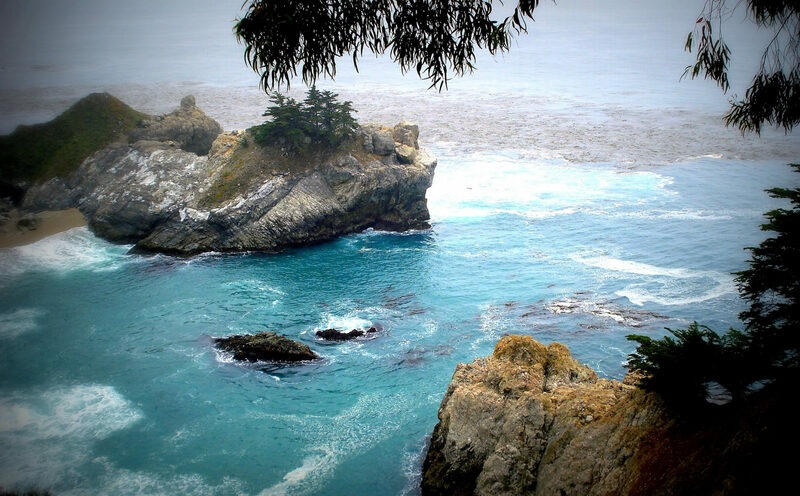 The drive to Pebble Beach is a beautiful day trip from San Francisco and provides a great way to explore California’s stretches of coastline. Pebble Beach is a beautiful landscape jutting from the northern California coast into the Pacific. It’s perhaps best known worldwide for its connection to golf — Pebble Beach has hosted five U.S. Opens on its top-ranked golf course. It’s also a spectacular place to explore as part of a day trip from San Francisco, as my husband and I discovered after getting the recommendation from a local. 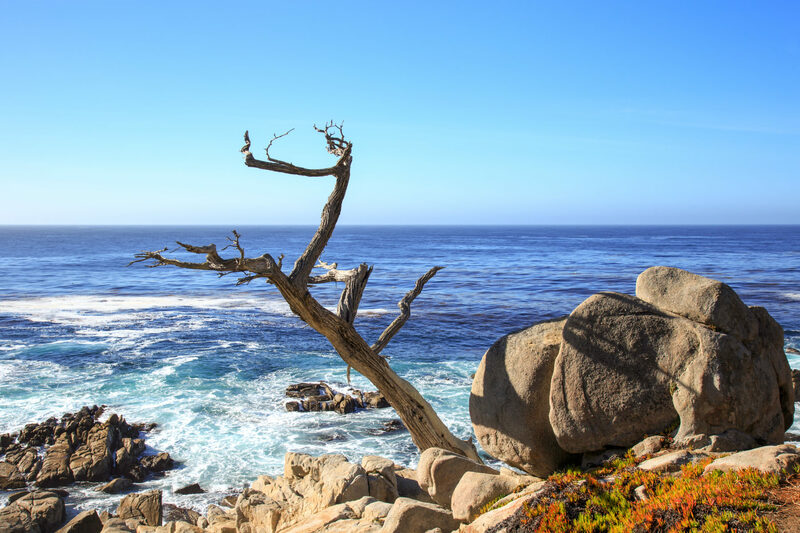 We wanted to visit the Monterey and Carmel areas south of San Francisco, which are about 120 miles from the city, so we decided to incorporate into our day trip the “17-Mile Drive” through Pebble Beach. What Is the 17-Mile Drive? The 17-Mile Drive is a gated drive that opened in 1881 and runs through the exclusive Pebble Beach community, which is filled with luxury homes, golf courses and natural beauty. Golf enthusiasts will especially love the drive, of course, since this small 17-mile stretch includes seven championship golf courses. But there’s no need to be a golfer to enjoy the trip. We marveled at the gorgeous scenery throughout the entire drive, including plentiful scenes of deep blue waves crashing against the rocky California shoreline. Overall, more than 1.5 million people each year take this scenic California ride, which takes you past 25 miles of hiking and equestrian trails as well as thousands of acres of the Del Monte Forest. The area is also a wildlife paradise, with dolphins and whales swimming offshore, seals and sea lions sunning on the beaches and deer grazing inland. Plan one to two hours for the road trip down the 17-Mile Drive, or longer if you bring a picnic. You can access the drive from sunrise to sunset via one of five gates. 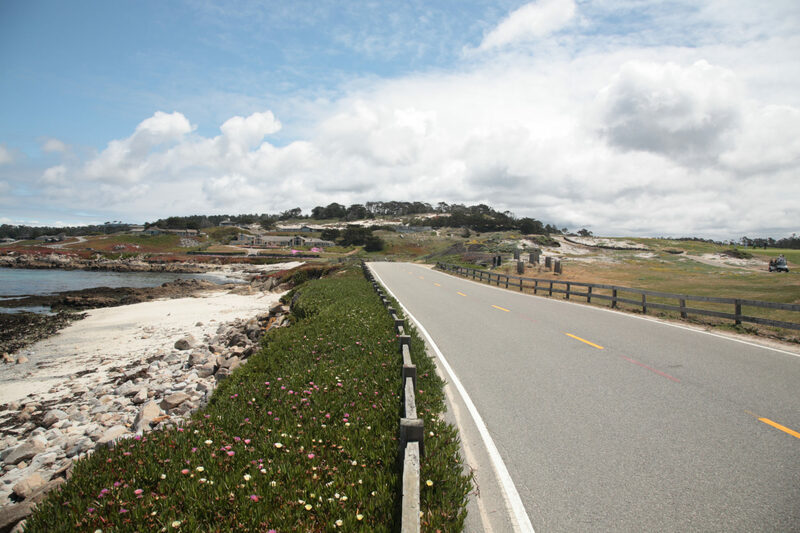 Gates run from the south side at Carmel-by-the-Sea along the east side and through to Monterey, and an additional gate is accessible in Monterey on the north end in Pacific Grove. You’ll need $10.25 in cash for admission. Once inside, follow the red-dashed line to make sure you’re staying on the correct route. At the gate, you’ll get a map to show you the key points of interest along the way, or you can choose to follow along using the downloadable app. While the drive largely runs along the rocky Pacific coast, there is also an inland portion that takes you to the Poppy Hills Golf Course. The gate fee to take the 17-Mile Drive is reimbursed with a purchase of $35 at Pebble Beach Resort restaurants, excluding Pebble Beach Market. Simply present your gate fee receipt to your server. 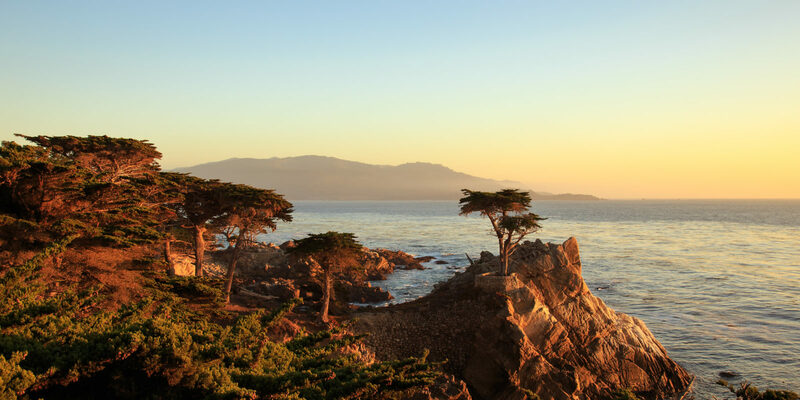 The most famous stop along the drive is the Lone Cypress, which has become the symbol of Pebble Beach. 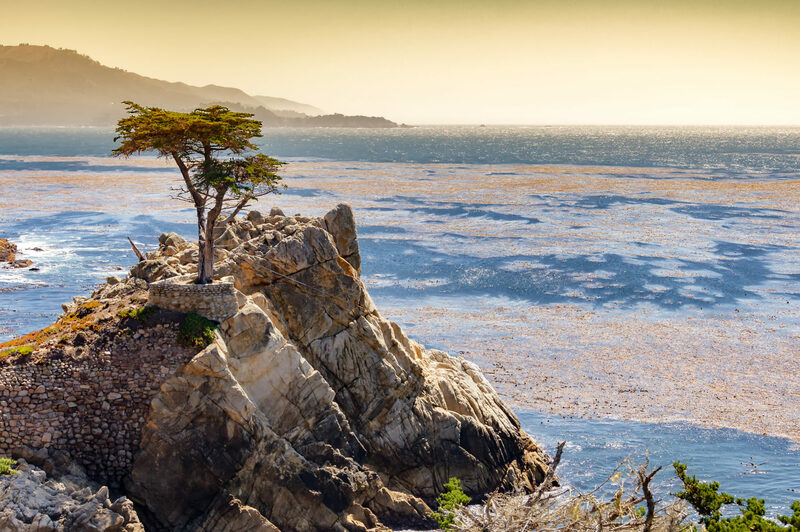 One of the most photographed trees in the world, this Monterey cypress tree has stood alone on its rocky outcropping, withstanding storms and winds, for more than 250 years. Park along the road and hop out of the car to find the best vantage point for a photo — this is definitely an Instagram-worthy moment! Another popular stop is the Ghost Tree, known for its spooky silhouette. The tree, bleached white from the wind, once overlooked the Pacific. Its remains now stand next to a sign marker along the road. The tree’s original location is known to surfers as one of the best areas to catch big waves — up to 50 feet! — and local legends say a ghost named the Lady of the Lace appears here in the California fog. Make sure to park your car and gaze for a moment at the Restless Sea, point number six along the drive. This area is one of the most turbulent in Pebble Beach due to the terrain beneath the waters, which makes the sea violently swirl and crash. A great place to stop for a picnic lunch, or to let the kids get out and play, is the Seal Rock Picnic Area, point number 11 along the drive. You can enjoy watching seals and sea lions and search through tide pools for interesting sea creatures caught during low tide. If you make the drive at sunset, stop to watch the sun drop into the sea at Cypress Point Lookout, which offers lovely views to the southwest. Discover great travel experiences in Northern California with the Marriott Vacation Club Destinations® Exchange Program.